Lloyd E. Esmon, 89, passed away on April 27, 2018, at The Meadows nursing home. Lloyd was born Dec. 11, 1928, in Bluford, IL, the son of Libby and Leslie Esmon. Lloyd married his childhood sweetheart, June Shouse, in 1948, and they recently celebrated their 70th wedding anniversary. He always delighted in telling people how long they had been married. Lloyd earned a bachelor’s degree and a master’s degree in education from Southern Illinois University-Carbondale. He began teaching after only two years of college at a small four-room school near Bluford. Later he taught at an elementary school in Grand Prairie Township. He then became the principal at his own alma mater, Webber Township High, in Bluford, where he had played varsity basketball, and June was one of only six girls to graduate in 1945. He also served at several other schools in the area, including in Dix, IL, Markham City, IL, and Ina, IL. In 1961, Lloyd made a big career change and took a job as a training professional for the American Newspaper Publishers Association in New York City, NY. Moving from the small towns of Southern Illinois to New York City turned out to be a learning experience for him, and he soon learned he wanted to move somewhere else. And June wanted to move where it was warm. In 1964, Lloyd moved his family to Miami, FL, where he worked in human resources for The Miami Herald. Lloyd always enjoyed a challenge, so when the Herald’s leadership said they needed help in the composing room, he took the position of assistant manager in the composing room, working long into the night. After a couple of years, he returned to the human resources department. Lloyd and June loved to travel and spent many summers driving across the country. They also loved dining out and became well acquainted with the staffs at a number of Nashville restaurants over the years. Lloyd was a longtime member of Bellevue Church of Christ and spent much of his retirement visiting folks in the hospital, even though he hated hospitals. For many years, he also helped dream up entertaining activities for the “Huddle 55” group. And he spent a good deal of time aggravating the church’s elders over various matters. Lloyd always believed that honesty was the best policy, even when it got him in trouble. 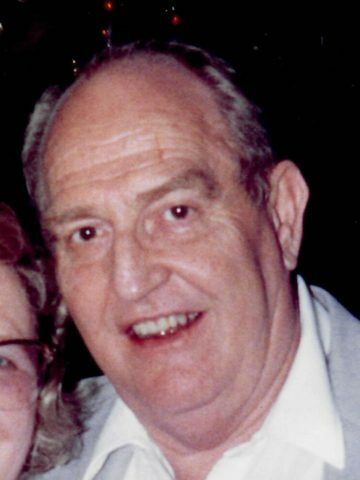 Lloyd is survived by his wife, June Esmon, his son, Dwight Esmon and wife Sandi, of Bonita Springs, FL., his daughter, Janet Shouse and husband John, of Franklin, TN, and his three adored grandchildren, Emma Shouse Garton, Evan Shouse and Brendan Shouse. Visitation will take place at 2 p.m. Sunday, April 29, at Harpeth Hills Funeral Home, 9090 Hwy 100 Nashville, TN. Funeral services will follow at 3 p.m. In lieu of flowers, gifts may be made to the Arc Tennessee, 545 Mainstream Drive, Suite 100, Nashville, TN 37228-1213. Nancy and I are so sorry to hear about Lloyd passing. Our thoughts and prayers are with your family. I remember Lloyd when I was transferred to the Nashville paper in 1984. He was our first contact for our visit and interview. He was also the person who would continually tell me the truth and try to get me to understand that I was still a wet behind the ears young man. While I deeply appreciated his advice and guidance, it wasn’t until years later that I truly understood what he was saying. I sometimes wonder how my career might have changed had I listened more closely. I know he always loved his family and he encouraged me to spend time with mine. He lived a good life and was a good man. God bless. We lived in the same neighborhood as Lloyd and June and will miss our friend and neighbor. In his early years at Harpeth Meadows, Lloyd was very good to his neighbors, taking them to doctors appointments, out to eat, or giving them a call on their birthdays. Lloyd was interesting to talk with and we are glad that we got to know him. Our thoughts and prayers go out to June and all of the family.